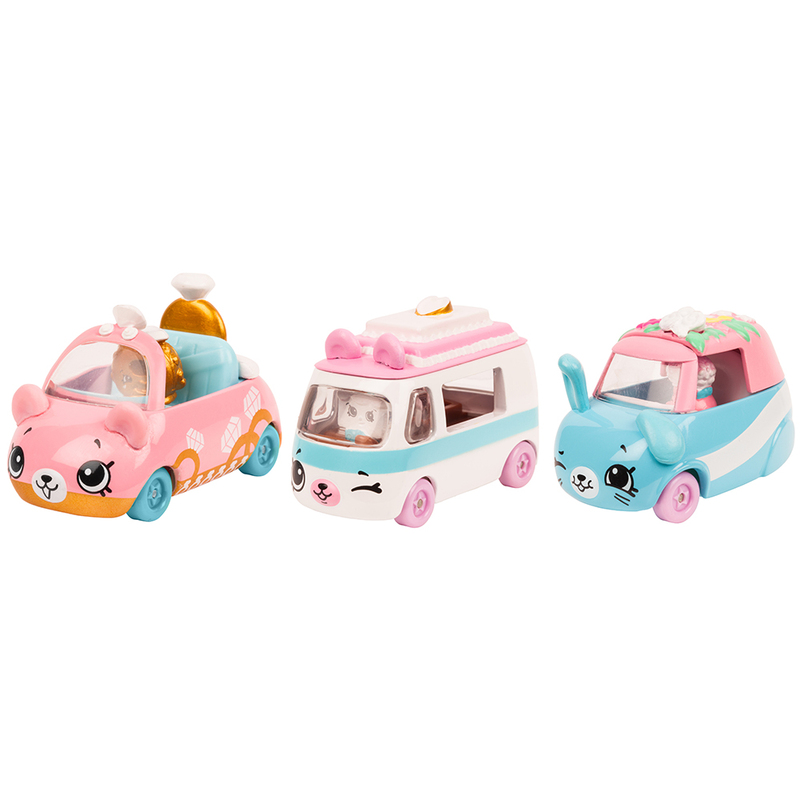 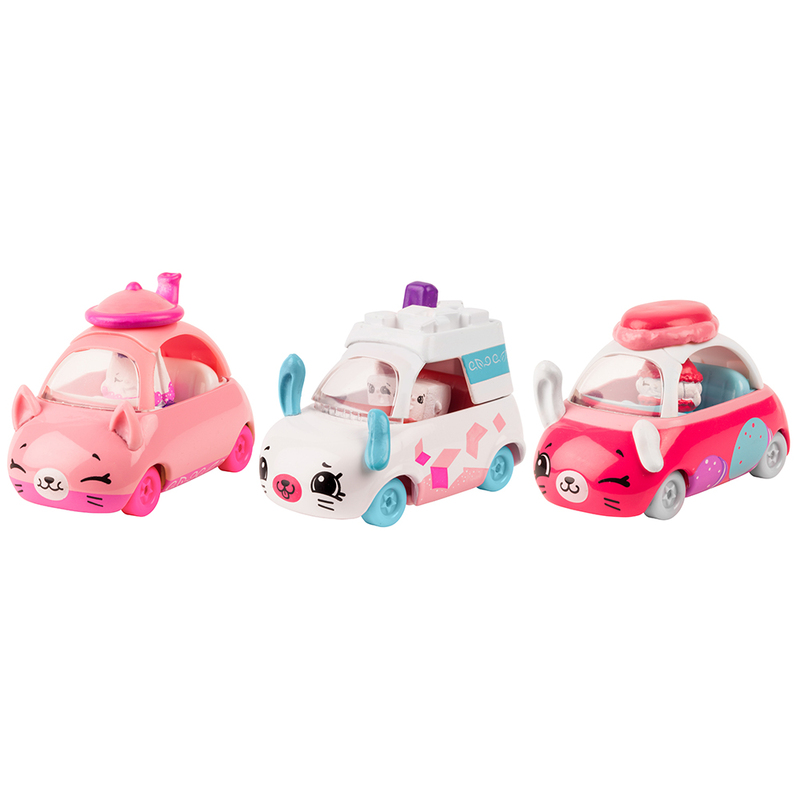 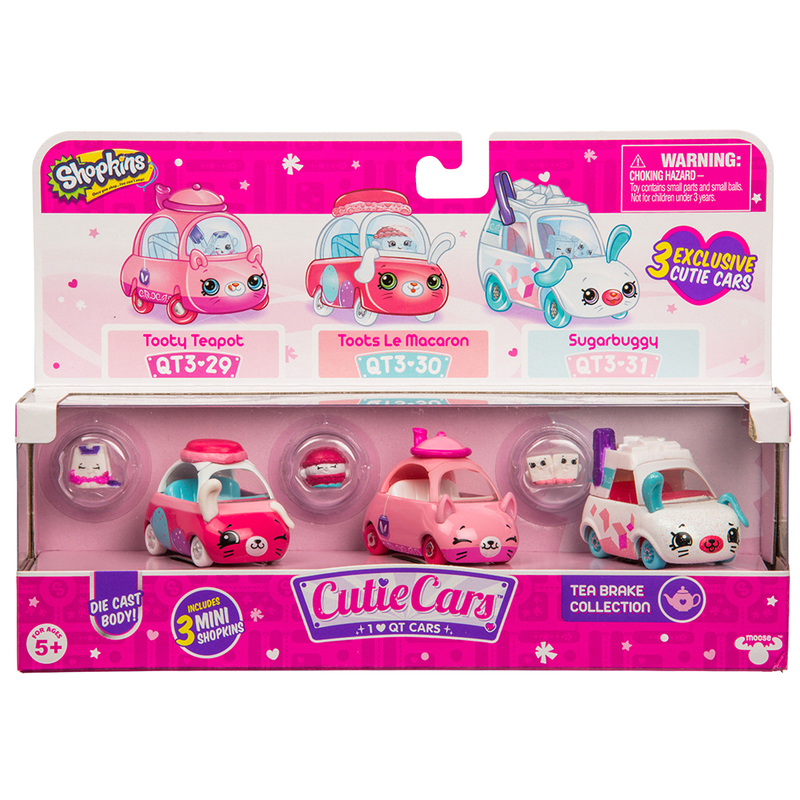 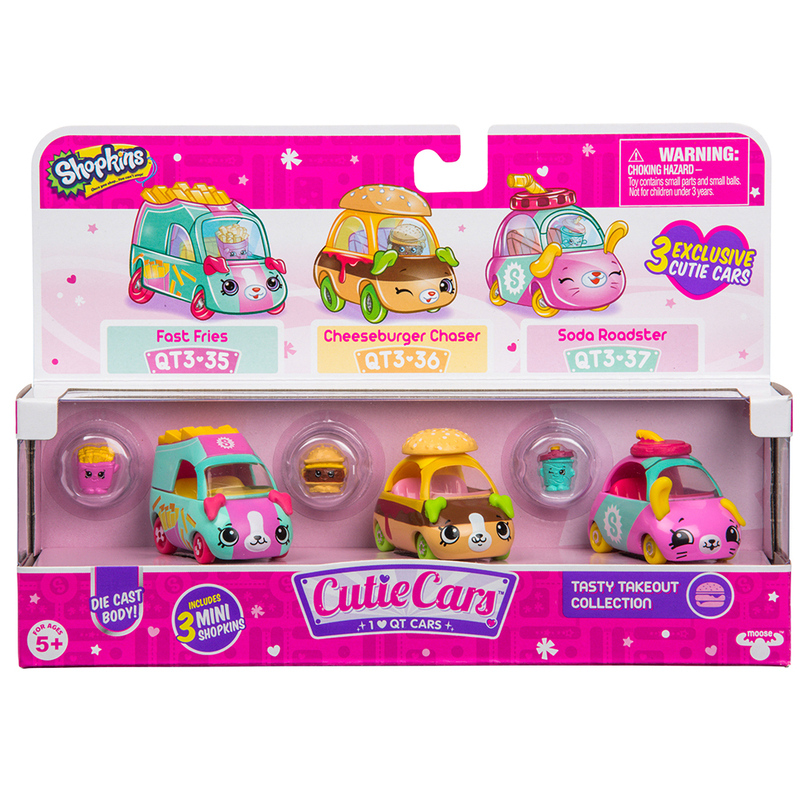 The Cutie Cars 3-Pack has three times the cuteness! 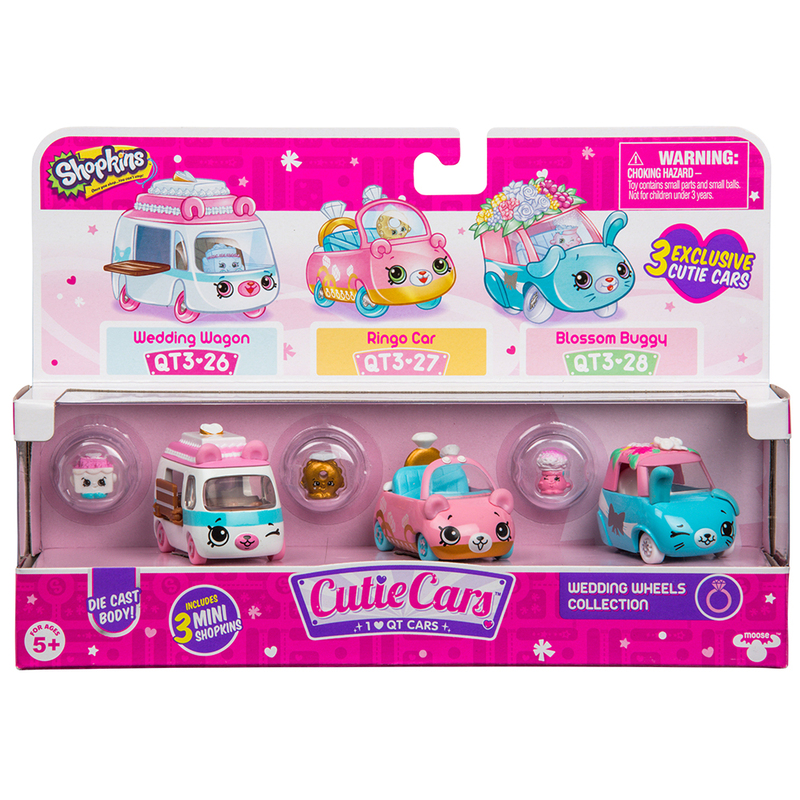 There are 4 packs to collect - Wedding Wheels, Moto Italiano, Tea Brake and Tasty Takeout – each containing 3 Cutie Cars along with their Exclusive Mini Shopkins. 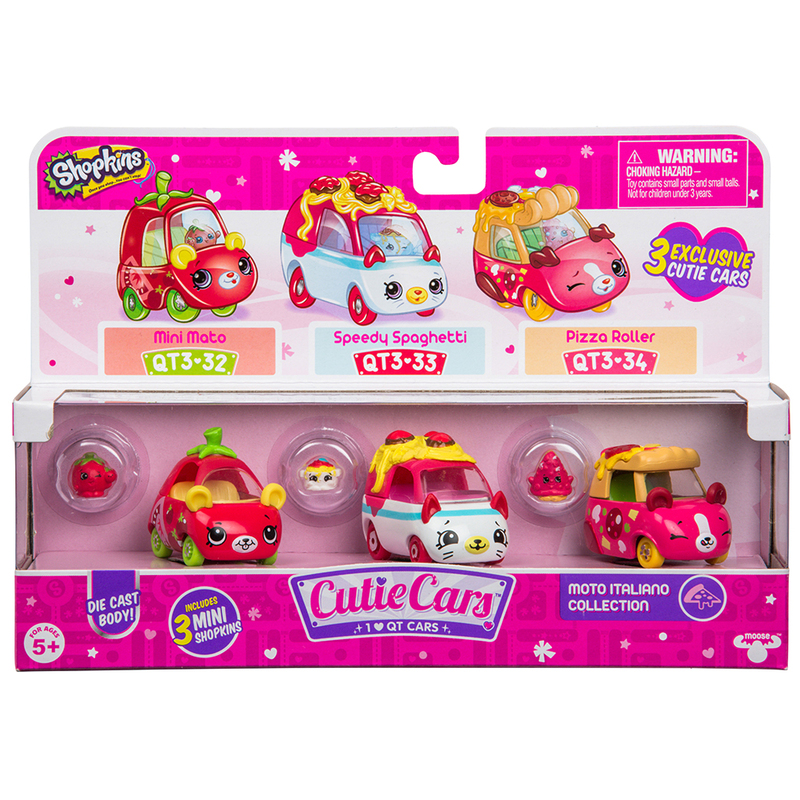 With over 35 new Cutie Cars to collect it makes for one sweet traffic jam! 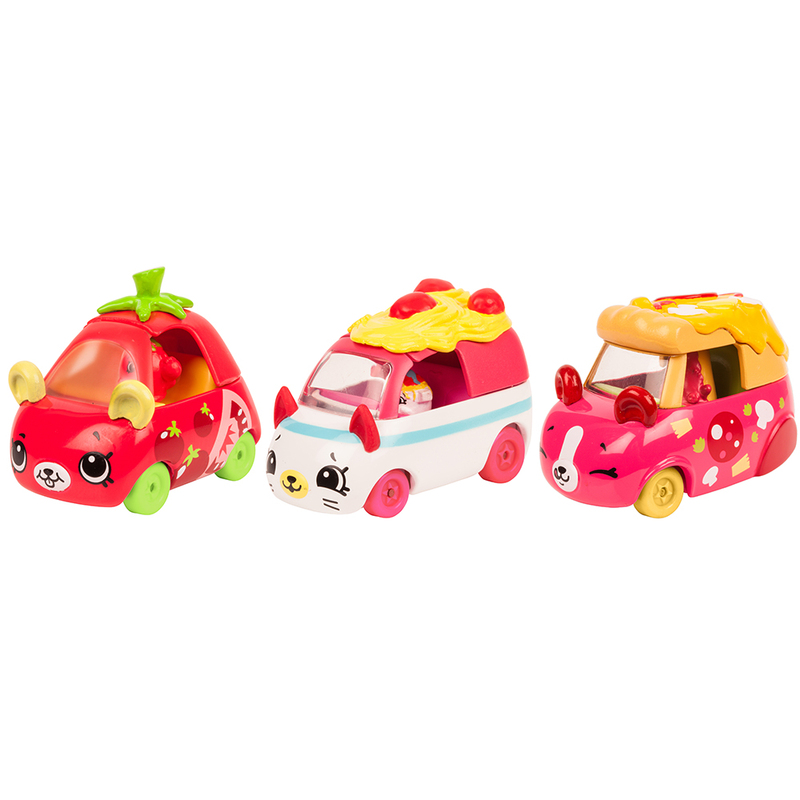 There are brand new models to add to the collection including Cutie Coupes and Tiny Travelers.